(17/P8) TRENTON – The Department of Environmental Protection’s WARN NJDEP mobile device app, launched late last year, has been awarded an AVA Digital Gold Award from the Association of Marketing and Communication Professionals, Commissioner Bob Martin announced today. The AVA Digital Awards is an international competition that recognizes outstanding achievement by creative professionals involved in the conceptualization, direction, design and production of media that utilize digital arts, technology and information to engage target audiences. The WARN NJDEP mobile app, launched this past November, complements the DEP’s telephone hotline, 877-WARNDEP (877-927-6337), which has been in operation for many years. The app can be downloaded through Google Play, the Apple app store and the Microsoft app store. Enter WARN NJDEP in the search bar. The app is not intended for reports of life-threatening and/or environmental emergencies. These should be reported by calling 9-1-1, local police or the DEP’s hotline. Also, the app is NOT to be utilized by regulated entities as an acceptable method for fulfilling notification requirements to the DEP. Examples of non-emergency incidents that may be reported through the app include improper storage or disposal of waste and other materials, odor complaints, smaller sewage leaks, smoke and dust complaints, underground storage tank incidents, and wetlands or stream encroachment issues. The WARN NJDEP mobile app was developed in partnership with the New Jersey Information Division of NICUSA, Inc., a company that helps New Jersey government entities develop web-based services to improve information and communications. The app allows users to provide essential information on the type of environmental incident, the date and time of the incident, whether it is ongoing, and a brief description of what happened. The app utilizes GPS technology for pinpoint location of environmental incidents and allows users to submit photos as part of their reports to the DEP. anonymously, as has been the case for years through the DEP hotline number system. The app provides a one-touch link allowing the user to call the DEP’s Communications Center and directly speak to a dispatcher, if that is the user’s preference. 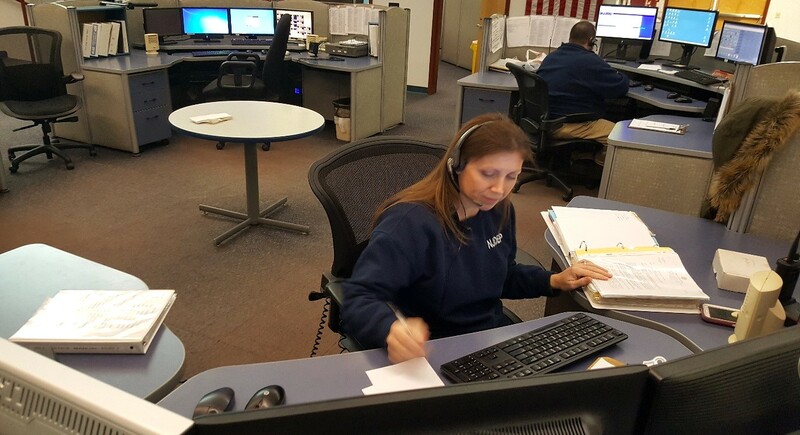 The DEP’s Communications Center is staffed 24 hours a day, every day of the year and receives some 100,000 calls annually on a wide range of incidents, such as nuisance wildlife complaints, wildfires, hazardous material releases, and wetlands and other land-use violations. The center works to assign cases within the DEP or to appropriate county and local agencies.